One of the most frequently asked questions that I get about my blog is how I come up with the things I make. I use a variety of different sources for my recipes, but I’d say it comes down to three sources: blogs, cookbooks and, perhaps most surprisingly, Wikipedia. As a blogger, I love checking out other food blogs as a source of inspiration. I love cookbooks, but often times, the author of the cookbook seems so inaccessible to me. Bloggers, on the other hand, are people like me — twenty-somethings with a passion for cooking, writing and photography. My favorite bloggers include: Adventures in Cooking, Dolly and Oatmeal, Flourishing Foodie, Local Milk Blog, London Bakes, My Name is Yeh, The Pancake Princess, The Tart Tart, The Vanilla Bean Blog, Two Red Bowls and more. I’m sure there’s tons of people that I’m missing, but the bloggers that I mentioned above feel like my friends — they inspire and encourage me, and make me laugh and smile. I can often relate to their stories and understand the production and hard work behind each post. It’s also reassuring to me that the recipes up on the site and the pictures that I’m seeing are made by actual, real people. It gives me confidence in my own cooking. Like… if Molly can make these kickass princess cakes (something I thought you could only buy in Ikea), why can’t I? There is a downside to food blogs, however. Unlike in most heavyweight cookbooks, where each recipe has been tested and tried by professional bakers in different environments, bloggers don’t have that same advantage. Often times, blogs are run by untrained home cooks, meaning that blog recipes can sometimes be inconsistent, or, at worst, awful. I’ve tried many recipes, even from the biggest and most popular bloggers, that simply don’t turn out. But I don’t blame them — I’m guilty of having these mistakes in my blog myself! Sometimes I’ll post something that I’m not extremely happy with because I feel the pressure to post, or because the pictures turned out well, or because I only tried it once and it was fine, but not great... I’m sure others have done the same. Please don’t judge us! In any case, this is when I turn to cookbooks. It’s reassuring that cookbook recipes are meticulously tested and I can follow it blindly without worrying. I know this isn’t always the case (trust me, I’ve made some cookbook recipes that turned out to be a complete and utter disaster), but cookbooks definitely tend to be more consistent than blogs. I also find the extra information in cookbooks to be extremely valuable. Specifically, I love it when the author takes the time to talk about the roles of specific equipment and ingredients, or when there are specific chapters dedicated to classic techniques and food science. Reading these chapters teaches me to become a better cook and a baker, and I don’t think I would be here today without them. 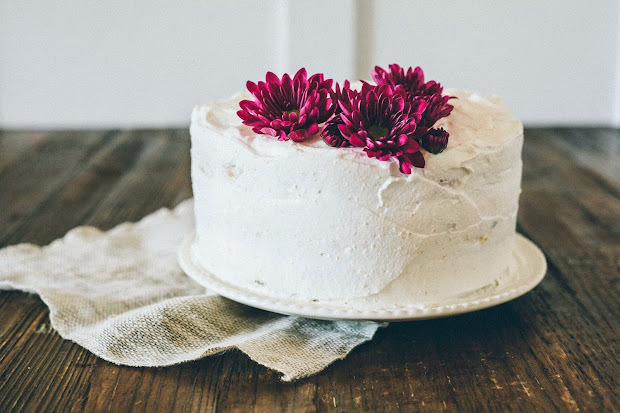 After all, this blog started out with me baking through The Hummingbird Bakery Cookbook, one of my favorite cookbooks — it taught me a lot of different things that I never would have figured out if I’d kept bouncing from cookbook to cookbook, blog to blog, and recipe to recipe. Cookbooks are generally great at teaching you how to have results that are consistent and delicious every time. And finally, last but certainly not the least, Wikipedia is one of my main go-to resources for recipe inspiration. It’s surprising, I know, but this is probably the source that I rely on the most. Wikipedia has a wealth of information on a dish’s history and evolution, cultural styles and different variations, as well as other things that you can’t really get from cookbooks. Often times, if I get an idea stuck in my head, I’ll turn to Wikipedia to read about it first — especially if I’m unfamiliar with the dish, or if I’ve never had it before. Despite living in places where Mexican food was everywhere and delicious (like Houston and San Francisco’s Mission District), I’d never actually had tres leches cake until recently. But it’s one of Erlend’s favorite desserts, and something he’d been begging me to make for a while. In order to honor his request, I started my research by checking out Wikipedia. Although Wikipedia didn’t give me the lengthiest article on the subject, it gave me the basics: a light, airy cake soaked in a mixture of cream, evaporated and condensed milk. I also recently had the opportunity to dine with some friends at Ox, a much beloved "Argentinean inspired" restaurant here in Portland. I was delighted to find that they had a tres leches cake on the dessert menu. Despite being stuffed, I ordered it for “research”. I was surprised to find that the cake was much denser and less sweet than I had imagined. Similar to Ox’s version, this tres leches cake has a denser texture versus a light and airy texture. It also has a stronger emphasis on vanilla than the other cakes I’ve mentioned, since this cake contains both fresh vanilla beans in the cake batter and cake soak. And finally, the coconut whipped cream topping is borrowed from Beth’s beautiful version. And so you can see, using these resources, I managed to create my own version of tres leches cake — I hope you like it! Plan ahead for this one — this is a bit of a fussy cake since the recipe requires that the cakes be soaked in the tres leches soak for a couple of hours in the fridge. You will need space for three 8-inch cakes in the fridge; unfortunately you cannot stack them on top of each other to save space because they'll end up sticking to each other and everything will be a terrible mess. Trust me... it happened to me. It took me a long time to figure out how to slice a vanilla bean pod efficiently. You need a sharp knife that will enable you to slice the pod lengthwise. Use the tip of the knife to scrape the vanilla beans out of the pod. 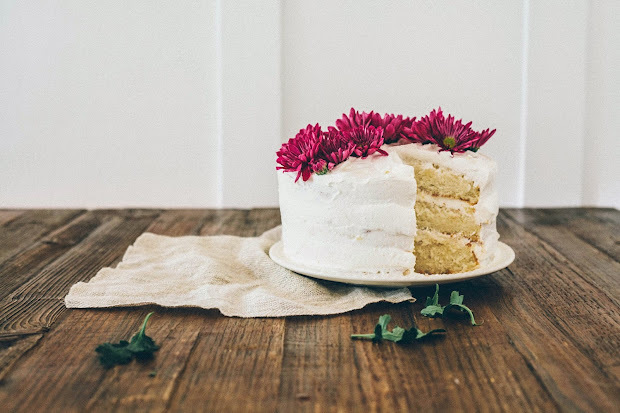 Zoe Bakes, one of my favorite bloggers, has great photos of this process. Don't discard the pod because you'll be using it later to infuse your cake soak! The coconut chantilly frosting uses coconut cream, which is distinctive from coconut milk. The Kitchn has a great article on the difference between the two. Coconut cream is usually available in the Mexican or Asian section of any grocery store. If you can't find coconut cream, you can also use the coconut cream that usually comes with coconut milk. If a can of coconut milk has been sitting for a while and isn't shaken properly before opening, the cream usually sits on top of the coconut water, which you can scoop out and use in this recipe. Unfortunately, the flowers are not edible. Sorry! 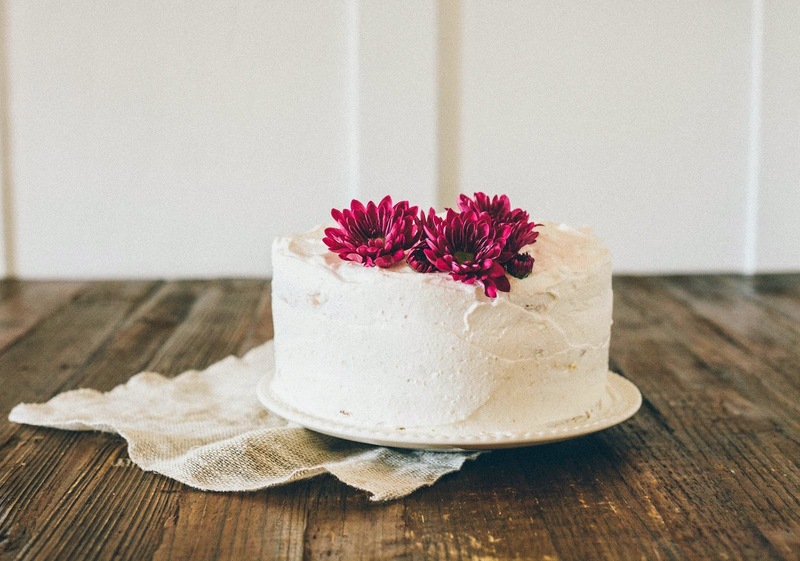 You can fully commit 100% and find edible flowers for the cake... or you could just leave them out. 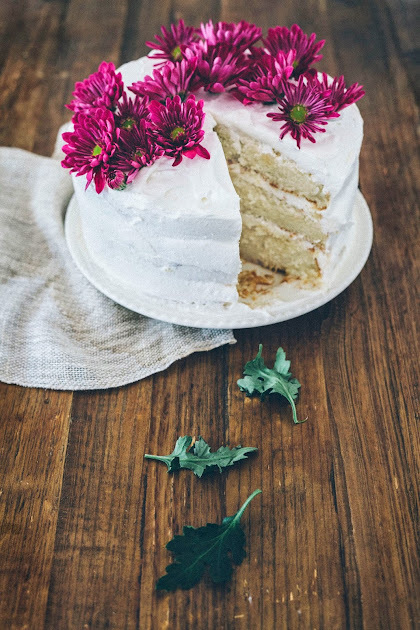 The cake will be just as delicious, and you get the added bonus of not having to pick out the flowers as you eat a slice of cake. Center a rack in the oven and preheat it to 350 (F). Prepare three 8-inch round cake pans by generously spraying with cooking spray and lining the bottom of each pan with a round piece of parchment paper. Spray the parchment paper. In the bowl of a freestanding electric mixer fitted with a paddle attachment, combine 3 cups cake flour, 2 cups granulated sugar, 1 1/2 tablespoons baking powder and 1/2 teaspoon kosher salt. Mix on low speed until well combined. Slice 1 vanilla bean lengthwise and use the tip of a small knife to scrape the tiny seeds from the inside of the vanilla bean into the electric mixer's bowl; save the pod for the tres leches soak. Continue mixing on low speed until the vanilla seeds have dispersed throughout the flour mixture. On low speed, add 1 cup plus 2 tablespoons unsalted butter and 1 cup of the whole milk. Once both the butter and milk are added, increase the mixer speed to medium and beat the batter until it is light and fluffy, about 2 minutes. While the batter is beating, whisk together the remaining 1/3 cup whole milk with 5 egg whites and 1 tablespoon vanilla extract in a liquid measuring cup. Lower the mixer speed to its slowest setting and add the liquid ingredients in 2 to 3 additions, scraping down the sides of the bowl with a rubber spatula after each addition. Mix only until the ingredients are just incorporated — do not overmix or your cake will be heavy and dense and I will cry! Divide the batter among the 3 prepared pans and bake for about 35 to 40 minutes, or until a skewer inserted into the center of the cake comes out clean. Transfer the cakes to a wire rack to cool for 10 minutes, before inverting out onto the rack to cool completely. Allow the cakes to cool completely before soaking in the tres leches mixture. While the cakes are cooling, make the tres leches soak. In a medium bowl, whisk together 7 ounces sweetened condensed milk, 1/2 cup evaporated milk, 1/2 cup heavy cream and the vanilla bean pod. Let sit as the cakes cool to room temperature. The vanilla bean pod will infuse the milks with vanilla flavor. Once the cakes are cooled, transfer each cake onto its own individual plate. Use a wooden skewer to poke each cake generously with holes. Fish out the vanilla bean pod from the tres leches soak, and pour a third of the soak over each cake. Wait a few seconds before each pour to allow the cake to absorb the soak. Cover with plastic wrap and transfer to the refrigerator to allow the cakes to cool and set for a couple of hours. In the bowl of a freestanding electric mixer fitted with a whisk attachment, combine 4 cups cold heavy cream, 1/2 cup coconut cream and 2 teaspoons vanilla. Whisk on medium-high speed until the mixture starts to thicken; add in 2/3 cup confectioner’s sugar and whip until the peaks just hold their shape — be careful not to overmix or you'll end up with butter! How interesting finding out how you research recipes. I've been thinking about making a tres leche cake but have put of as I don't like milk, is it a strong milky taste that the cake has? I'd say the main flavors of this cake is vanilla, coconut cream, and milk. Not traditional milk though — have you ever had sweetened condensed or evaporated milk? That's what the soak primarily tastes like. Hope that helps! I kind of do the same thing, but I cook much better with savory things. I have tried baking and although I find it very relaxing my outcomes our not always the best. 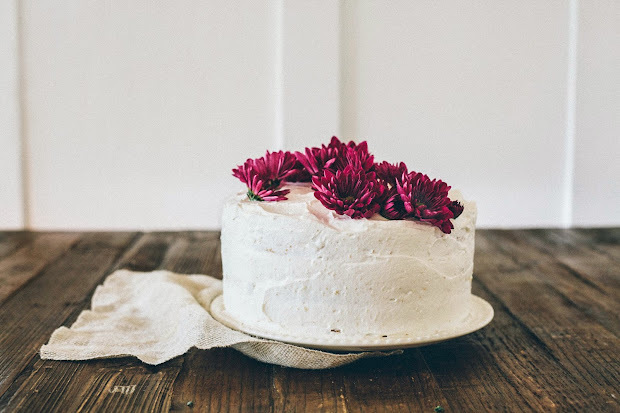 One of the things that I really love about your blog is your baker's notes - like you, I'm sometimes a bit wary of blogger recipes (even my own at times!) but I feel like I always learn so much from your posts and can trust the end result. I've never had tres leches cake although always been intrigued by the idea - this is a total stunner and I can't wait to try it! PS thanks for the shout out; the love is most definitely returned in spades! Anyway, the tres leche cake with chantilly sounds amazing! I've only seen one version with gelatin (can't do it)...so bookmarking to try your oh-SO-pretty version. Oh, I saw those versions too! There's no need for the gelatin at all, as proven by this recipe! And wait--a tres leches LAYER CAKE?!! I've never seen a layer cake version before, but yours looks absolutely gorgeous. 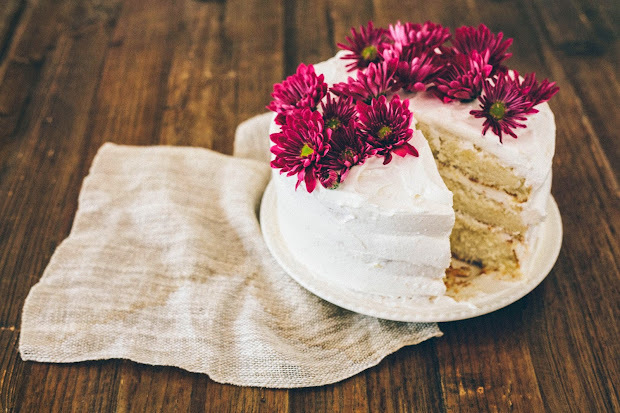 Basically, I've only ever had really airy or almost spongy single-layer tres leches cakes, so I am super intrigued by both the layering and the denseness of this cake. This makes me want to go out and buy ALL the milk so I can make this ASAP! this recipe looks delicious, but the photographs that resemble 'food art' might be even more impressive. i would actually hang a picture of this cake in my kitchen - simply gorgeous. It's great to know that I'm not the only one that posts recipes even when they're "...ehhh" ones. Not often, but there's a couple. It's frustrating to plan your day out around making and photographing something, then spend hours baking it, only to find out it's not spectacular. Was it something I did, was it the recipe, was it my equipment? I had this happen just today - started making kouign amann last night, was planning on finishing it and photographing it today. But this morning, the whole thing was wrong. I don't know what I did, but I knew it would not have turned out if I had baked it - it was beyond repair. So, into the trash it went. Huge bummer. But, my craving for chocolate kouign amann is still as powerful as ever so I am going to making it again tomorrow (with a slightly different recipe) and hope for the best. It can't turn out horrible twice in a row.... right? eeks i have only made tres leches cake once and that was years ago ... dying to make it again now. i am a certified milk lover - especially the sweetened condensed, evaporated and coconut milk kind! great blog list, too - i've opened like ten new windows on my computer for major blog-checking-out-fun! ha - like molly above i was reading and going, yup. i'm guilty of slamming up a cookie recipe onto my blog because i was like, "oh shoot, i need content - i'm going to blast out a batch of cookies!" thankfully i have a pretty good base now in baking so things tend to turn out pretty decently, yay! This cake is gorgeous! I have never even tried tres leches cake before, but I definitely want to! YES! Sometimes blog recipes let me down, but it won't ever stop me from trying. I can't say that printed/published recipes haven't also steered me wrong before (I'm looking at you, Martha-Stewart cookie dough recipe accidentally printed with double the butter!). I guess, these flowers - Chrysanthemum - are edible!! If organic, of course.